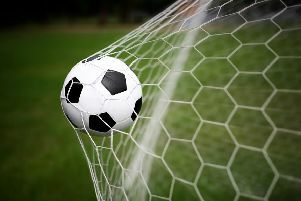 It’s league and cup-winning time on the youth football scene and teams from Bosham, Chichester and Selsey are among those celebrating. Rick Kennett’s under-16s secured their first piece of silverware with a 19-0 drubbing of Barnham Trojans Red. Before kick-off, the Reds knew either a win or a draw – based on their superior goal difference to rivals Midhurst & Easebourne – would be enough to take the Arun & Chichester Youth League C-division crown. Bosham took to the field wearing black armbands after the recent death of club vice-president David Stear, who did so much for the club’s original Cygnets youth set-up in the 1980s. A minute’s silence was immaculately observed. Barnham were able to field only nine men and were up against a virtually full-strength Bosham, who took little time to get behind the visitors’ defence and take the lead. Lewis Rustell top-scored with five, added to by Joe Bourner-Davies (4); with a hat-trick for Harry Spicer and two for Tommy Veness. Jake Bradwell, Cameron Cassar and Ed Kennett also hit the net. After two consecutive losses, City Colts were determined to finish the season strongly against Felpham. Chi started the first half with a great deal of the possession but failed to find the net, and home side scored three goals in the first half. In the second half, all was to change as Chi came out a transformed side, full of determination. Top scorer Harry Angell found the back of the net with an early second-half goal, which started the road to recovery. Goals from Jacob Taylor and Ben Robertsmade it 3-3 and late on, Harry Angell lobbed a shot over the keeper to seal the match. It closed the 2016-17 season with City in the top half of the table. Chi City Colts: Harry Angell, Josh Jensen, Josh Mc Culloch, Jack Kennedy, Teddy Phillippo, George Purvis, Theo Perrin, Louis Godfrey, Matthew Palfrey, Will Driscol Bennet, Jacob Taylor, Ben Roberts, Joe Broad. Selsey finished the season in style, beating a spirited and sporting Rustington team 3-1 in the play-off for the B division title. Each team had lost just twice in the entire season, a feat both coaches should be proud of. Rustington started brightly and would have taken the lead but for stout defending by the Selsey back-line. Going forward Selsey looked sharp and they broke the deadlock against the run of play after a loose ball fell to Danny Howick, who lifted the ball over the Keeper from 25 yards. Selsey took control and had a spell of sustained pressure before great work in the midfield resulted in a tidy finish from Luke Ayling. Rustington scored next as their centre-forward beat three players before outpacing the defence and finishing with aplomb with 20 minutes left. But a nice move led to Rhys Grocott finishing neatly into the bottom corner from a tight angle to wrap it up. Selsey: Jensen Carrurthers, Sam Weaver, Rhys Hall, Jamie Thomkins, Harry Terry, Rhys Grocott, Dan Howick, Jake Gibbs, Ryan Hains, Luke Ayling, Josh Jones, Ewan Lennox, Sam Pulley, Leandro Silva. Chichester City Youth under-12s have won another tournament. They won the event at Selsey without losing a game, finishing above Whetstone, an elite academy team from Watford, and Basingstoke FC.